It’s that time of year again. Time to reflect on your achievements from 2017 and enter 2018 with a bang! But where to go? What to do? If you’re looking for something fun and family friendly – look no further! 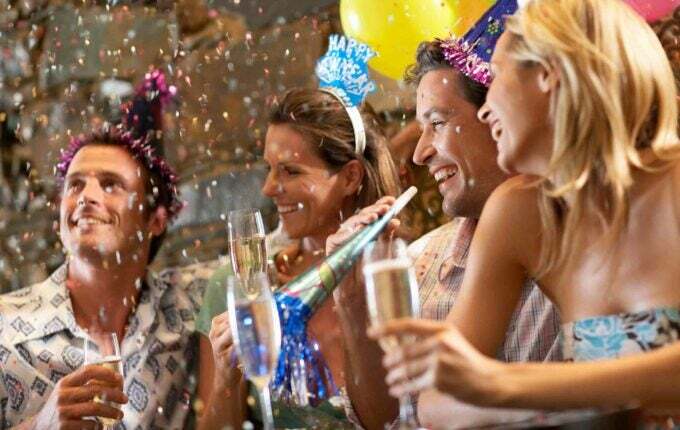 The Beachouse is offering a New Year’s Eve unlimited pass for 2 hours. Unlimited access to all the Waterslides, Dodgem Cars, Bumper Boats, Mini Golf, Play Castle, Train, Carousel and Arcade Games! Get your tickets now. Excludes Prize and Ticket Games. Time begins on first tap. Available to use only on 31st December 2017. 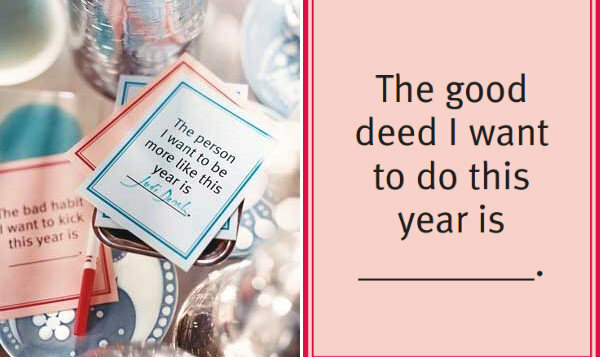 Hand these cards out to your guests and have some fun writing down your resolutions for the years. A skill you want to learn, an instrument you want to play, or something new you want to do that you’ve never done before, a habit you want to kick. Read them out loud with your friends and family. Keep the cards and display them on a board for the year to remind yourself of what things you want to change. Song about the year from Time Out New York’s playlist: a mix of classic tunes from artists like Otis Redding and Eagles. Asparagus, ham and Camembert roll ups: place asparagus spears in a microwave plate with a little water. Cook for 2 mins, remove, season with garlic salt and pepper and lightly fry. Place Camembert on the spear and use thin slices prosciutto to keep it together. Fry again. Cheese board: pick up a variety of cheese and biscuits and pair them with chutney and caramelised onion. Caramelised onion and Camembert pastries: Bake sheets of puff pastry in the oven until they’re fluffy. Caramelise onion . Place onion on pastry and top with Camembert and a cherry tomato. Depending on your preference you could keep it simple with beer, wine and spirits. Or you could get everyone to bring their own cocktail mix. Here are 10 easy cocktail recipes. Alternatively you could source boutique gins and create some ginspiring gin drinks! 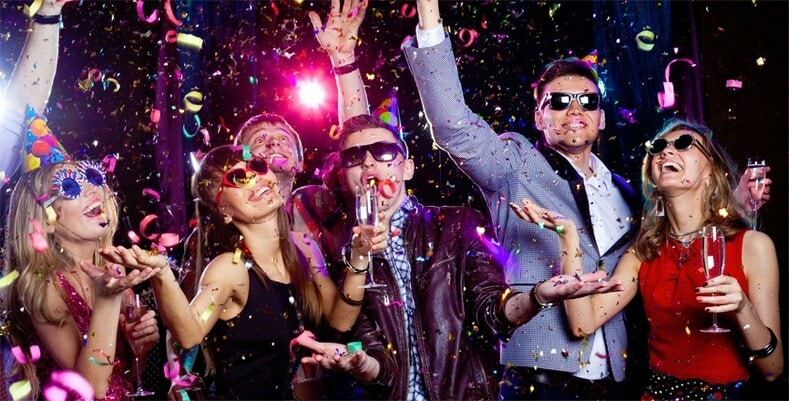 Whatever you decide to do this new year’s eve – have a wonderful time! We look forward to creating many more memories with you in the new year!